1898 | Sumner, Kern City & East Bakersfield - PAST, PRESENT & FUTURE! In CITY ALONG THE KERN (page 23), Eugene Burmeister claims that many businesses were destroyed in a 1898 fire that started in the California Theater. The city was resurrected from the ashes and by the turn of the century East Bakersfield had a population of 1,300. 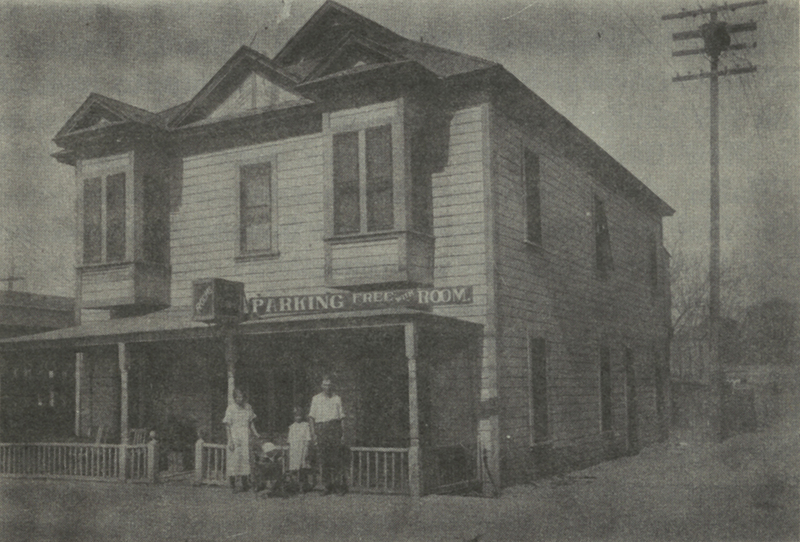 Swedish rooming house half a block north of 19th Street on west side of Baker Street, run by Mr. and Mrs. Frank Fornas shown in picture with their children.